All Wedding Collection orders MUST be placed at least 7 days before desired delivery date! 1. Make sure you have someone at your location to sign and care for your flowers. If nobody is there to sign, FedEx will either leave them at the doorstep or take them back and attempt a re-delivery the next day (not recommended). 2. Unpack all flowers immediately. Flowers are shipped out of water and need to be hydrated soon after arrival. They will have been out of water for a day and will need water. Allow at least 6-8 hours for them to re-hydrate to peak freshness. a. Cut straps and loosen paper wrap to inspect flowers upon arrival. 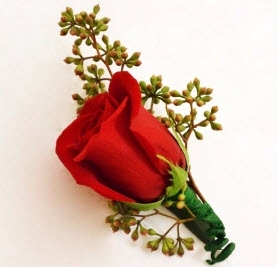 If there are any minor bruises on the outer petals, remove them carefully before the event. b. Add 2-3 inches of water and flower food to a clean vase or bucket. c. Use clippers provided to carefully cut the plastic straps that hold the bouquets to the shipping box. d. Remove hydration sponge and bag from the lower stems. e. Cut 1 inch from bottom of the stems place the bouquet in a vase or bucket immediately after cutting. Be careful not to get ribbon wet. g. Keep paper wrap that bouquets arrive in for transportation to the event. h. Touch flowers as little as possible. Petals bruise easily, even though it may not immediately be visible. It can appear as browning or wrinkles. i. Avoid placing bouquets sideways on flat surfaces as this may damage the outer blooms. j. Keep bouquets in water until the last possible moment to keep flowers fresh and hydrated. k. Transport the bouquets upright in buckets. Avoid overcrowding. If transporting in a vehicle, lower or empty the water to avoid spilling or getting the flowers or ribbons wet. l. Avoid exposing flowers to heat, especially leaving them in a hot car. 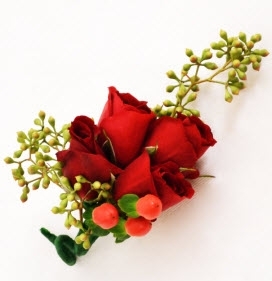 m. Before using, trim the stems within 1/2 inch of the ribbon or to desired length for final presentation. b. Keep refrigerated until the last possible moment. c. Keep boutonnieres, corsages and petals in the protective clear cases they were delivered in until use. 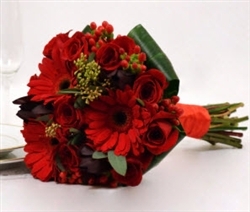 We recommend that you have your Pre-Made Wedding Flowers delivered 2 days before the actual event. 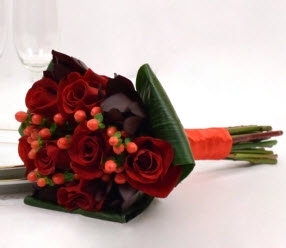 For Friday wedding, your flowers should be delivered on Wednesday. For a Saturday wedding, deliver on Thursday. We use FedEx for overnight delivery service. Your flowers will most likely be delivered before 10:30 am. If you are in an extended delivery area, they should arrive by 5 p.m. Contact FedEx for the guaranteed delivery time for your delivery Zip Code. MyFlowerBuyer.com is not responsible for delivery delays. FedEx might require signature at time of delivery. Please arrange to have somebody at the delivery location to ensure proper delivery. If you will not be there to sign for your flowers, be sure to leave a note on the door clearly telling FedEx what to do. If you miss your delivery, please contact FedEx at 1.800-GO-FEDEX directly with your tracking number to reschedule delivery. Please review your shipping address and Zip Code carefully. If you provide the wrong shipping address, we are not responsible for any problems that may result. Any shipping redirects or changes will incur a $10 fee per box. Changes may not be feasible as the delivery date approaches, especially once the shipping tracking number has been assigned. The 10-piece wedding collection is perfect for brides on a budget. Bring them in 2 days before your wedding, and follow the easy care instructions. All you need is containers to keep them hydrated until you use them. These flowers are available year-round and follow the recipes, with only some seasonal substitutions within the same color theme. Working with Porter Davis at MyFlowerBuyer.com was a delight, especially since I waited until the last possible minute to order my flowers. I was desperate when Costco couldn't do the flowers (they need 2 weeks' notice) and found this site in a wedding article. Porter answered the phone at 9P (ET) and followed-up throughout the next 48 hours to ensure the order was properly placed and would arrive on time. The flowers themselves were beautiful - very fresh, very stylish and sophisticated. They even came with handy clippers to make cutting easier. 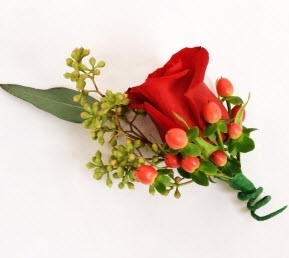 I hope not to get married again, but if I were to do so, I would definitely order from MyFlowerBuyer.com.